Is the Disney Dining Plan Worth The Money? All You Need to Know! You are at:Home»Disney World Dining – Everything You Need to Know»Is the Disney Dining Plan Worth the Money? This question get’s asked a LOT in my Disney facebook group, and disagreements always ensue in these threads! There are reasons for that. I’ll share the pros and cons of the Disney Dining Plan, and the methods you can use to figure out if it will save you money. First, let’s talk about the pros and cons. The opinions we hear on the Dining plan are all over the map. Some people think it’s a great value, and insist that it saves them hundreds of dollars. They seem to really enjoy the benefits of the plan. Yet many people really don’t like the process of being on the plan, and don’t feel it saves them money. In fact we’ve heard from some who feel the Disney Dining Plan is more expensive for them then paying out of pocket for their food. It’s great not having to think about how much money you’re spending on food. It’s fun to be able to order off the menu without having to worry about price. You can get the more expensive stuff! Paying in advance for dining can be a helpful budgeting tool. It makes the Disney vacation feel more like an all-inclusive getaway. Taking time to relax in a full-service, air conditioned restaurant is a perk for those who have full-service restaurants in their plan. Some find that it’s too much food. Especially those who tend to share their meals, or who don’t usually eat as much as they’re allowed on the Dining plan. For the Dining Plans that include full-service dining, some people feel it takes too much time away from being in the parks. You’ll spend at least an hour, and sometimes much more, in the restaurant for these meals. Some feel pressure to get their money’s worth. See the strategies below. All the points above are valid. Whether it seems appealing or not will depend on you. Maybe yes, and maybe no. It depends on you, your family’s eating habits, where you’ll be eating, which dining plan you pick, etc. In times past, the Disney Dining Plan easily saved guests a bunch of money, but things have changed. With Disney’s price hikes, it’s gotten harder to make the plan pay off financially. Saving Money on the Disney Dining Plan takes work. You’ll need to spend time researching and picking the more expensive restaurants, and you’ll need to pick the most expensive items available to you on the menu’s. There’s only one way to know for sure whether the Disney Dining plan will save you money in advance. You’ll need to do the math. There are two ways to determine the money saving potential of the Disney Dining Plan for your party/family. 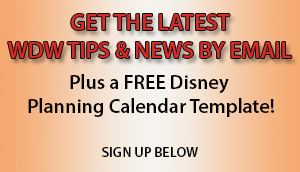 Use a free tool called the Disney Dining Calculator. Manual calculations – Research where you plan to dine, and what you plan to eat. Then do the math. As you figure out the value, if you have a party of 6 or more people, you’ll be required to give an 18% tip at every meal. With this tool you’ll need to input which restaurants you plan to dine in. The Calculator Tool will then estimate your costs WITHOUT the Disney Dining plan. It will also estimate the savings or loss you’d take using the three main dining plans. 1. Find the menu for each restaurant you plan to dine in. You’ll find menus on Disney World’s restaurant info page here. Just find the restaurant you’re interested in. On the upper right click on “View Menu” to be taken to the menu. You can also find dining menus at http://allears.net/dining/menu. 2. Determine what you may eat, and write down the total cost for each day. Calculate the total cost of each meal, and add each day’s meals together to get the estimated cost for each day. 3. Compare that to the daily cost of the Disney Dining plan. Now you’ll know whether the dining plan will save you money, or not. What about the “Free” Disney Dining promotions? At times, Disney will offer free dining at select resorts. Sounds great, right? Keep in mind that you’ll be required to pay rack rate for your room to qualify for free dining. Disney frequently runs sales on their rooms, and you won’t be able to get the sale rates. Determine which is lower: Find out what you’d pay for your room with the Free Dining Plan, and find out what you’d pay for your room without it. Disney Dining Plan Cost + Discounted Room Cost. Let us know your opinion on the Disney Dining Plan below in the comments section.